"Every student matters, every student succeeds"
As a fellow student of color, I felt a huge connection to the documentary All the Difference, and this is what largely inspired my work and passion for education reform. After viewing this documentary, I began questioning how I can use my identity as a woman of color in academia to get involved with my community. How do I make education equitable for communities of color in my community?" If every student succeeds, how can I use my education to help support this? During my time volunteering at Grant, I was able to convene with students once a week. 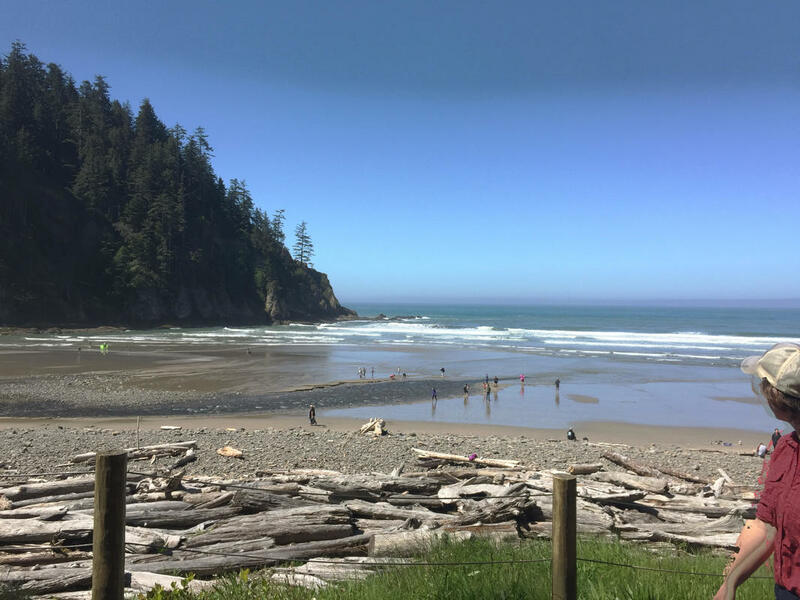 The highlight of my volunteering here, was the beach trip I helped coordinate with my community partner. 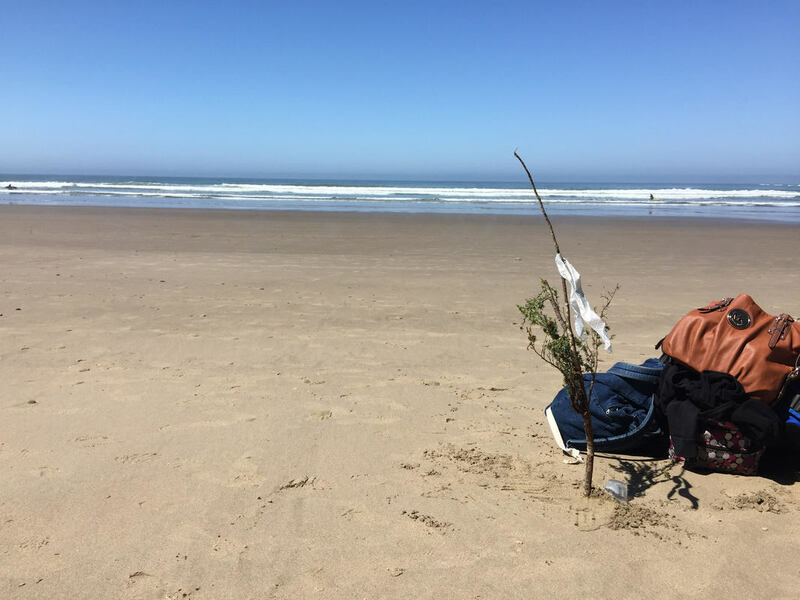 The purpose of the beach trip was to help build a stronger sense of community within the junior class, to participate in a beach clean up, and connect with someone new within the classroom. Closing the racial divide within Grant will be a hard class, but the power this junior class has shown me, has given me hope for the future of students everywhere. I was able to chaperone on the AP English's class annual beach clean up. 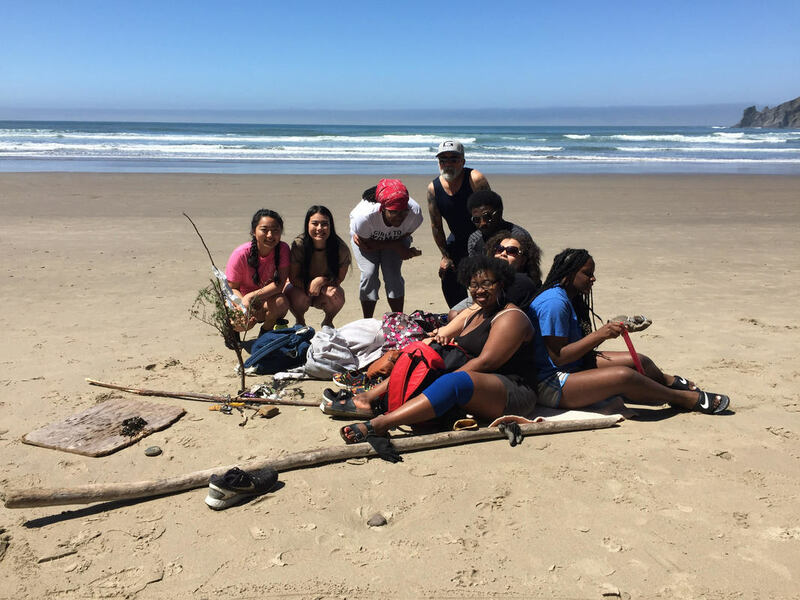 On this trip we picked up trash off the beach, planned bonding activities for the classes to participate in, and have downtime to participate in conversation around race. During this trip, I was able to bond further with the students and discuss college planning as well as ways they can practice social justice everyday. It was amazing to learn about each of their individual experiences and see how over the last ten weeks, I have impacted them. We challenged the students to engage with a student they had never talked to and a chaperone they did not know. We then challenged them to write about this experience - at the beach and interacting with new students. Flag site for meeting with students. The group of students I was a team lead for. View from the hiking location. My goal is to bridge the gap between class and resources within the school, through support in college counseling and planning. The event that led me to this work, was a presentation in class given by a fellow student. Her presentation was based off of a documentary about education and how alternative schools impact the public schooling system. While I do not remember the specific statistics she presented in her speech, I do remember her emphasis on the importance of kids of color seeing other people of color succeeding in higher education. She said that one of the most important thing minorities can do is go back and be engaged with students who do not believe they can succeed in academia or who have not considered college. The way that she stated these claims as facts made the gears in my mind shift into overdrive. In that moment I realized the ways in which I am privileged – currently attending a four year university with a large scholarship funding my education. I questioned how I got here and where I would have been if I had gone on another path. I wondered how I might use my story and identity to pave a path for other students. I was brought back to my uncomfortable seat in Ms. Bartley's class and became inspired to create support for others, also in this seat. There was a time, when I became aware of how race influences one's experience, speaking of my own experience specifically. My ability to observe and critically engage with race, and how my race impacts my life, came to me in a course I took with Roberta Hunte; the course title was Black Feminism/Womanism. Before this time I was naive, in that I believed racism hardly existed here in Portland. Being a Portland native, I was often the only student of color in my classes – even in my school at times, I was often singled out for my cultural features, and made fun of for embodying an inferior race. I took this treatment as a common experience that all youth faced when coming of age. While many youth do face bullying, this discrimination stemmed from my race. In high school, I was able to take an advanced placement course with Susan Bartley, my community partner. She emphasized the intersections of race, gender, and sexuality, while also teaching us how to write and critically engage with college level literature. The way she taught her class made many students of color see a light at the end of the tunnel high school symbolized. Before taking her course, I was planning on attending a community college and not even trying to apply to a four year university. Now, I am on a full academic scholarship to Portland State and on my way to graduate next Fall. Being a person of color in a predominantly caucasian city, I relate to the students I will be working with at Grant, which is also a predominantly white school. Feeling lost and confused in my identity and in my academics because of my blackness seems to be a common theme for a lot of people of color. The question of where do I fit in here and here will I fit in as I move onto the 'what now' question after college. I relate to this experience and want to support through influence and compassion for this experience.